Yellow-necked spurfowl, in pairs or in related groups, can be seen strolling along dirt roads, raising dust as they scratch for food. A male will fly to the top of a termite mound and proclaim himself with loud calls. What do yellow-necked spurfowl eat? 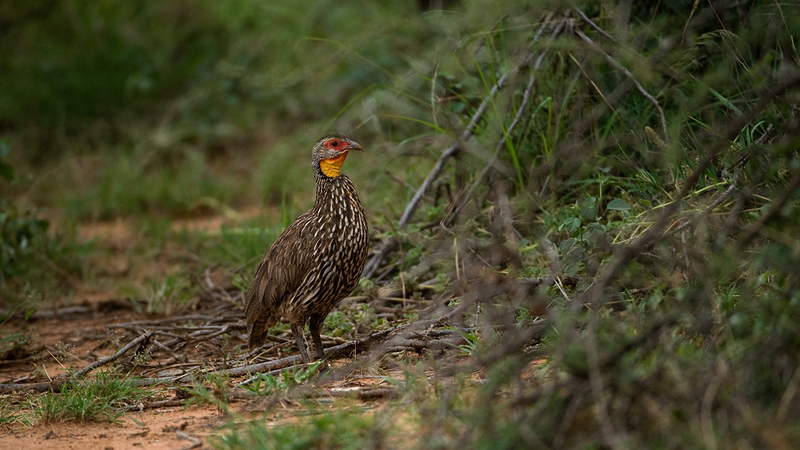 Yellow-necked spurfowl eat insects they find in dirt, fields, roads, or elephant dung. The yellow-necked spurfowl’s call is in descending parts, starting with k-wirrk…k-wirrrrrk and ending as many as six parts later. Yellow-necked spurfowls begin hunting for food at dawn; they are also active at dusk. The yellow-necked spurfowl is a game bird. Hunting of it is regulated, however, it is also a target of poachers. 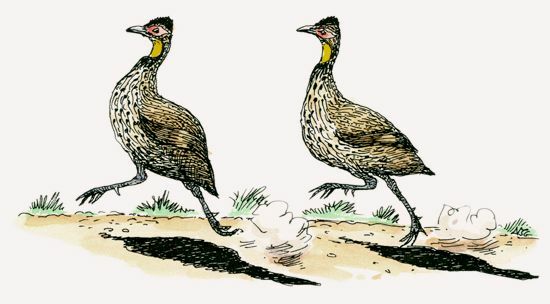 Yellow-necked spurfowls forage for insects in dirt or in elephant dung. Insects found along roads or on cultivated land are their preferred meal. Little is known about the breeding habits of yellow-necked spurfowls, other than that their breeding seasons vary widely depending on geographic area. 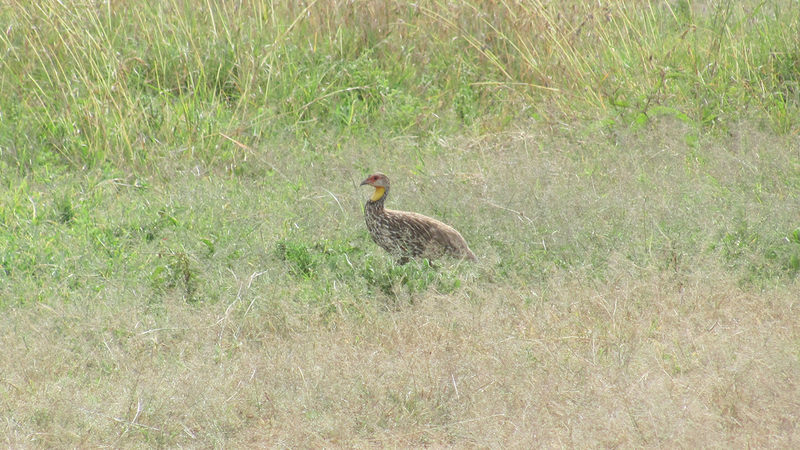 In Kenya, the yellow-necked spurfowl prefers bushed grasslands and scrublands near water and cultivated land. 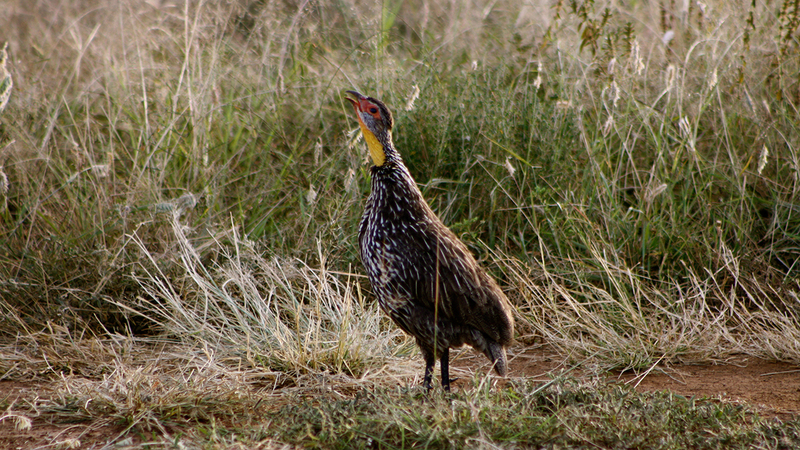 Their range in Kenya overlaps with that of the red-necked spurfowl. 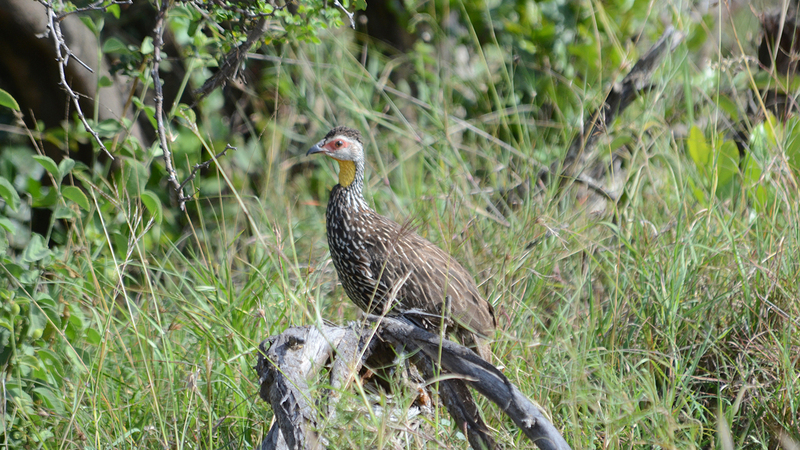 Yellow-necked spurfowls are found in Ethiopia, Somalia, Kenya, Tanzania, and Uganda. Male yellow-necked spurfowls have one or more sharp spurs on the backs of their legs that they use for fighting.